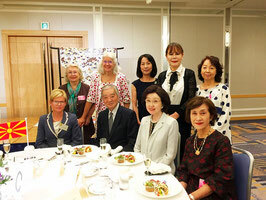 The President of The Tokyo Women's Club, Ms. Iizuka's greeting, and the financial report by former Treasurer, Ms. Okamoto, were followed by talk on the Edo Period. 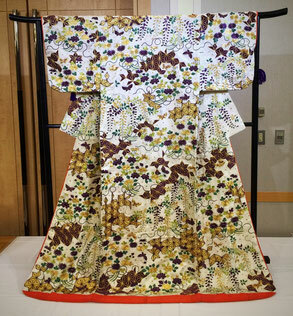 It ended without firing a shot 150 years ago after a 260-year-lasting peace. 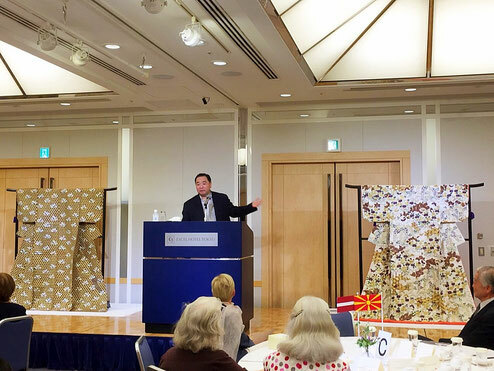 Mr. Iehiro Tokugawa talked about the reason why it was possible in Japanese history. 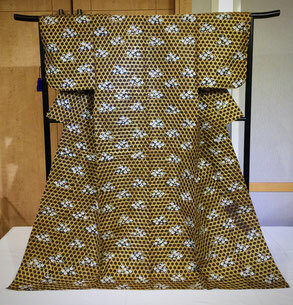 Ms. Noriko Tokugawa arranged to show us kimono of two princesses of the Tokugawa called "Atsuhime" and "Kazunomiya." At teatime, H.E. 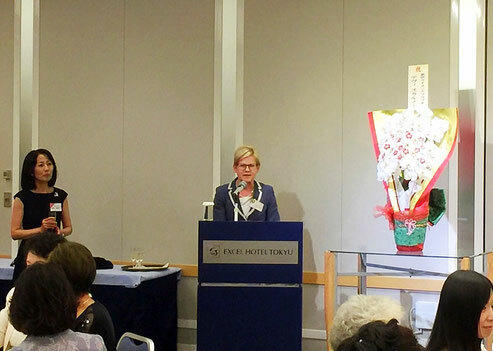 Mrs. Dace TREIJA-MASĪ, Ambassador of Latvia proposed a toast. We were also pleased to welcome Mme. 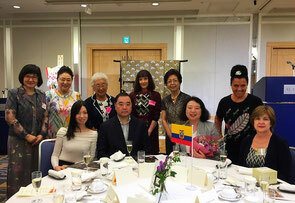 Maria-Amparo Barberis, spouse of Ambassador of Ecuador, Mr. and Mrs. Tsunenari Tokugawa, the 18th Head of the main lineage of the Tokugawa shogunal family, and Ms. Kyoko Spector. Mme. 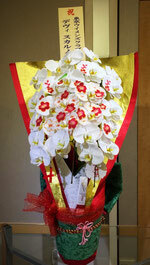 Dewi Soekarno kindly sent us beautiful orchids called "Furisode-ran." There were 92 attendees in all.